Police hunting the killer of Worcestershire pensioner Betty Yates are following up new leads after a TV appeal. 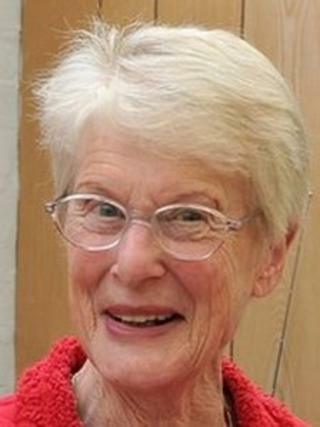 The 77-year-old retired teacher was found stabbed to death at her cottage near Bewdley on 4 January. West Mercia Police said they received a "handful of calls" after a BBC One Crimewatch appeal on Thursday. They are now looking for the owner of a Silver Audi estate seen nearby on 2 January. Det Ch Insp Neil Jamieson said: "We really need to identify who was in that vehicle, if only to eliminate them from our inquiry. "They could also be potential witnesses as we seek to establish who was in the area around that time." He said a Crimewatch caller had reported seeing the car on Dowles Road in the early evening, heading towards Button Oak. Mr Jamieson also said officers wanted to hear from anyone who had visited Mrs Yates' cottage between 28 December and 2 January. He added that police were still looking to trace the authors of two anonymous letters received last week. Officers are also still searching for Mrs Yates' keys, which they believe were used to lock up the cottage after the murder. Crimestoppers has offered a £10,000 reward for information leading to the conviction of the killer. Mrs Yates had been beaten with her walking stick and stabbed in the neck.